The true mark of a modern luxury vehicle is the technology it possesses. Jaguar lives up to its luxurious reputation, and the interior technologies of the 2018 Jaguar XF demonstrate precisely why that is the case. Few infotainment systems in the industry can compare to the Jaguar InControl® suite, perfect for connecting to all of the apps and programs that matter most to you. Meanwhile, the Meridian™ 380W Sound System makes the cabin of the XF a place that you and your passengers will never want to leave. Craftsmanship is the true hallmark of any Jaguar vehicle. You can find evidence of this signature design work throughout the interior and exterior of the 2018 Jaguar XF. Even the standard Sedan model includes amenities like an Acoustic Layer windshield. However, upgrading to the Sportbrake model will introduce even more design features, such as a panoramic roof and an advanced ionization system. 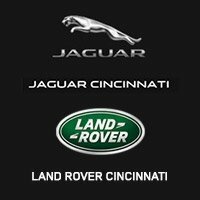 No two customers choose Jaguar for the same reason; the luxury brand caters to a wide variety of drivers. Therefore, it should come as no surprise that the 2018 Jaguar XF’s powertrains appeal to an array of driving styles as well. The Ingenium 2.0-liter turbocharged diesel engine is the best for drivers looking to save some money at the gas pump. Of course, for those craving pure power, the 3.0-liter V6 supercharged engine will help their XF model go from 0 to 60 mph in just 5.1 seconds. Call 513-791-1000 To Learn More about the 2018 Jaguar XF.